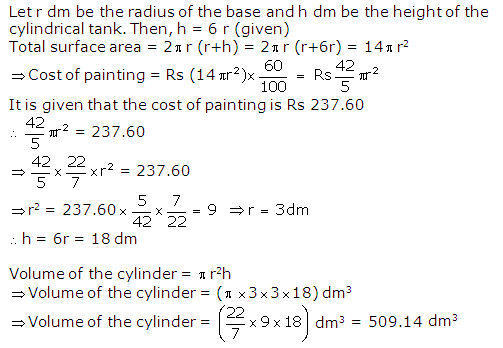 The cost of painting the total outside surface of a closed cylindrical oil tank at 60 paise per sq. dm is Rs. 237.60. The height of tank is 6 times the radius of the base of the tank. Find volume of cylindrical tank correct to two decimal places.